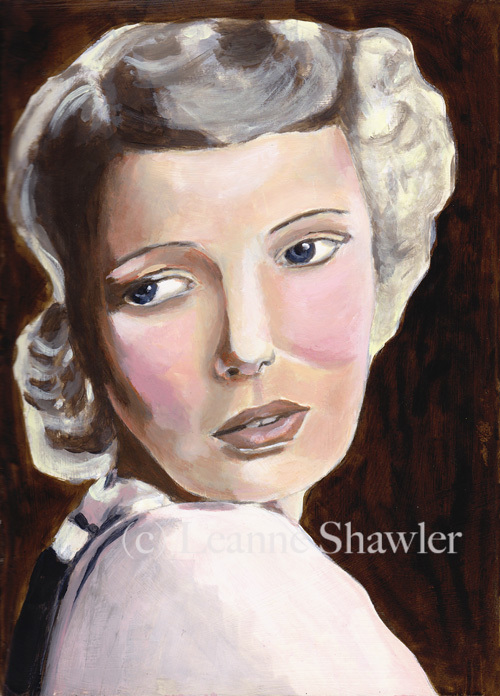 I decided to continue my exploration of Golden's OPEN acrylics. 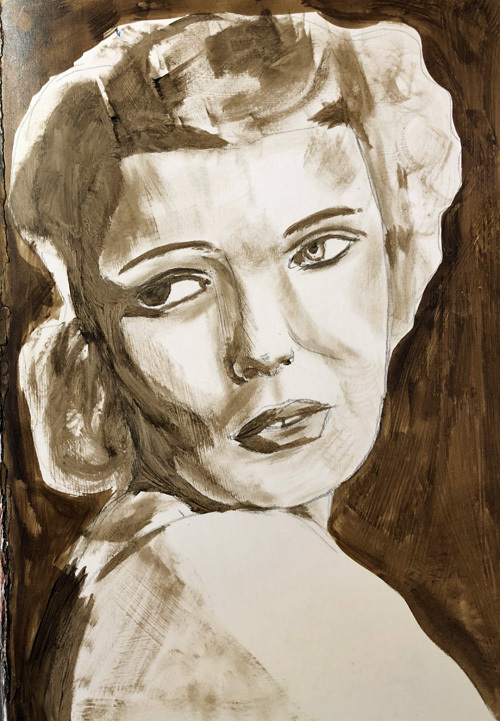 Using the reference photo shared as part of one of the recent Weekend Challenges, I started with a Lyra pencil sketch, marking the shadows, and quickly blocked in a dark background of sepia ink. Using Raw Umber OPEN acrylic, I put in the shadow layer, which involved some dry brushing for the not so darks. 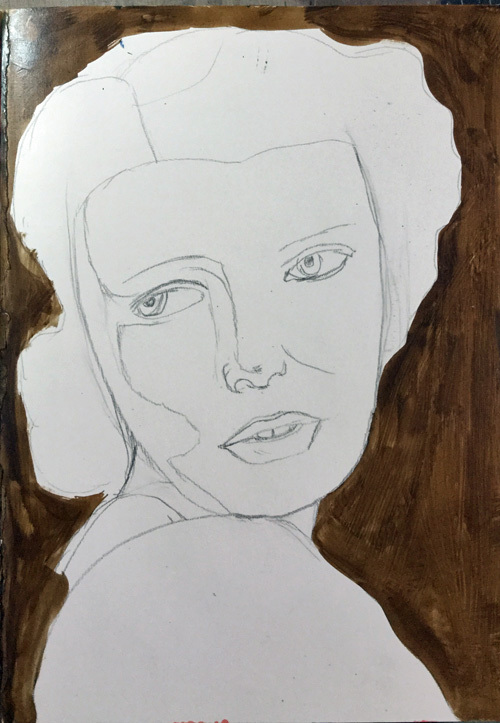 It's a more subtle difference, but then she got the black and white photo treatment, except that I am still using Raw umber as the dark. I loved how creamy the paints are and how I could blend to get a gradation of shadow. 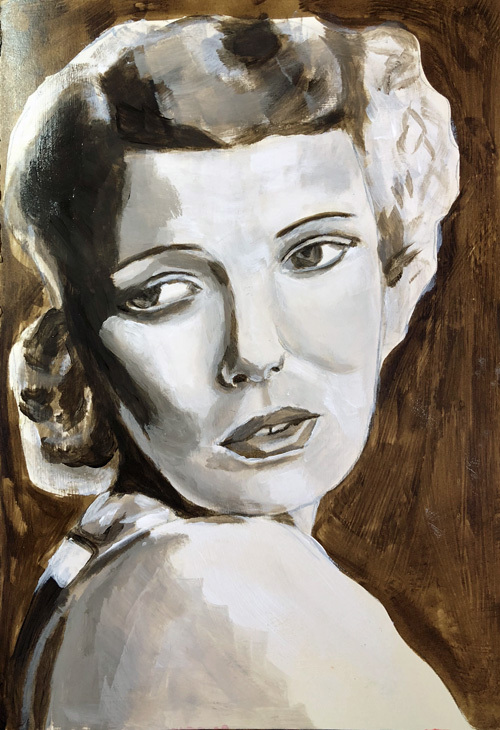 Then I created two main flesh tones, adding white or raw umber, and then finally some Paynes Grey to get rid of the two tone "colorized photo" look. I used Golden's satin glazing liquid to gain even more translucency. Now that it is a finished page in my art journal, I have learned that it can take up to 30 days to fully cure. Hopefully it won't take nearly that long in this desert climate, but it does explain why a wet rag managed to completely eradicate an entire layer of darkest darks. Hopefully, you can't tell.